Just 3,000 vehicles with a capacity of four can serve as much as 98% of New York City's ride-hailing demands within a mean waiting time of just 2.8 minutes. Ride-hailing and ride-sharing services such as Uber, Lyft and Via that boost carpooling could eliminate the need for of as much as 98% of the 14,000 taxis in New York City (NYC), according to a new study by MIT. The study, published in a peer-reviewed scientific publication, used mathematical models based on groups of riders in a self-driving fleet in real time, something not currently available but an idea ride-hailing services such as Uber and Lyft are planning to deploy. For example, Uber began pilot tests last spring of a self-driving Ford Fusion in Pittsburgh. While its autonomous car isn't currently being used to pick up passengers, it is driving around the city collecting mapping data and testing its self-driving technology. 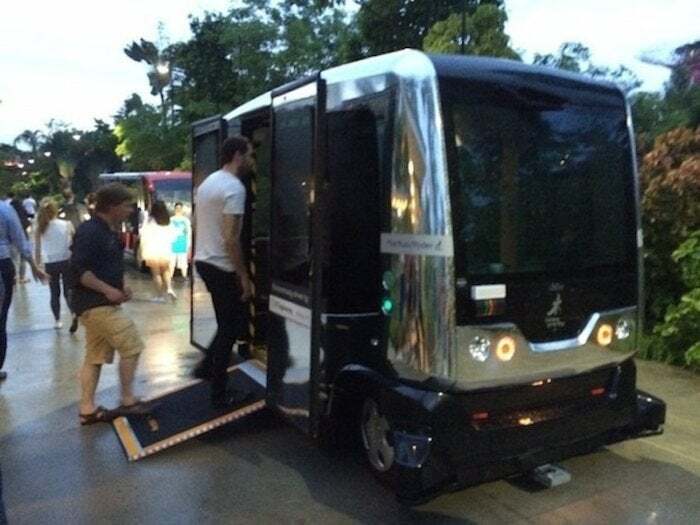 Last spring, Uber began testing a self-driving car on the streets of Pittsburgh. The MIT study, performed by the school's Computer Science and Artificial Intelligence Laboratory (CSAIL), used current NYC taxi data and determined that 2,000 ride-hailing vehicles (15% of the NYC taxi fleet) with a capacity 10 people -- or 3,000 vehicles with a capacity of four -- can serve as much as 98% of the city's ride-hailing demand, with a mean waiting time of 2.8 minutes and mean trip delay of 3.5 minutes. MIT's algorithm took into consideration NYC traffic conditions based on days of the week. The computer algorithm created by CSAIL was applied to fleets of autonomous vehicles and incorporated rebalancing of idling vehicles to areas of high demand. The simulation's framework is general and researchers said it could be used for many real-time multi-vehicle, multi-task assignment problems. While the ride-hailing simulations were only run using NYC data, the algorithms could just as easily be used to determine more efficient transportation models for any city, according to CSAIL Professor Daniela Rus. There have been no studies on the scale of the MIT research, which quantified the benefits of large-scale ride pooling. "These services have the potential for a tremendous positive impact on personal mobility, pollution, congestion, energy consumption, and thereby quality of life," the study said. "The cost of congestion in the United States alone is roughly $121 billion per year or 1% of GDP, which includes 5.5 billion hours of time lost to sitting in traffic and an extra 2.9 billion gallons of fuel burned. These estimates do not even consider the cost of other potential negative externalities such as the vehicular emissions (greenhouse gas emissions and particulate matter)." Overly congested streets and highways also make travel-time uncertain, and create a higher propensity for accidents. The ubiquitous adoption of smartphones has led to the emergence of a new mode of urban mobility, called mobility-on-demand (MoD) systems, led by companies such as Uber, Lyft, and Via. These ride-hailing services provide users with a reliable mode of transportation that is catered to the individual and improves access to mobility to those who are unable to operate a personal vehicle, reducing the waiting times and stress associated with travel, the researchers found. "We also observed that increasing the vehicle capacity not only increases the service rate but also reduces the mean distance traveled by the vehicles in the fleet potentially leading to a reduction in costs, congestion, and pollution," the researchers said.